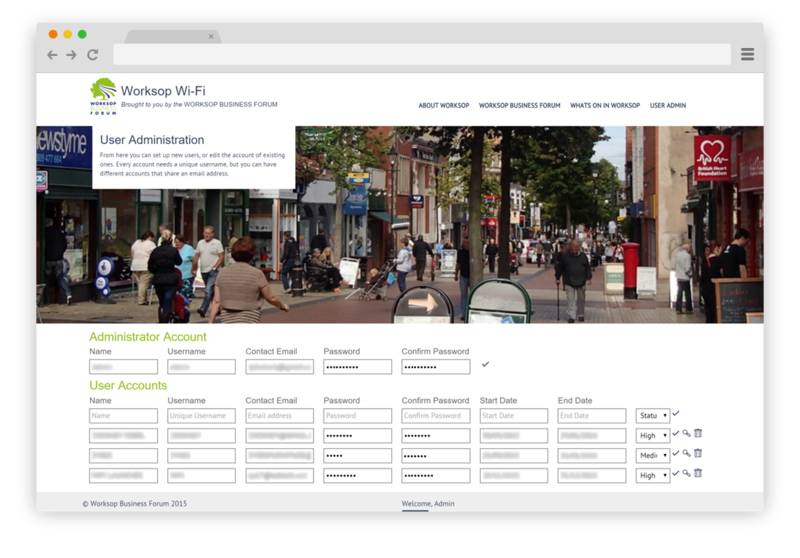 Worksop Business Forum have invested in free Wi-Fi access in Worksop town centre. The forum required a landing page for the users to see when accessing the Wi-Fi connection. As the landing page was to be accessed by a full range of devices we had to make sure the site was responsive and fit all current and future device sizes. We built CMS (Content Management System) into the site so the administrator for the Worksop Business Forum could easily update the website themselves with text and add events to the ‘What’s on in Worksop’ page. The site included a section of advertisements from local businesses in the town. We created a user register on the administrator log on where the administrator could add, edit and delete users. Each user gets a unique username and a password to create the adverts. The administrator is notified by email about any user updates and has to confirm the adverts before they are seen by the public. The administrator sets up user accounts for the business which have purchased advertising space. 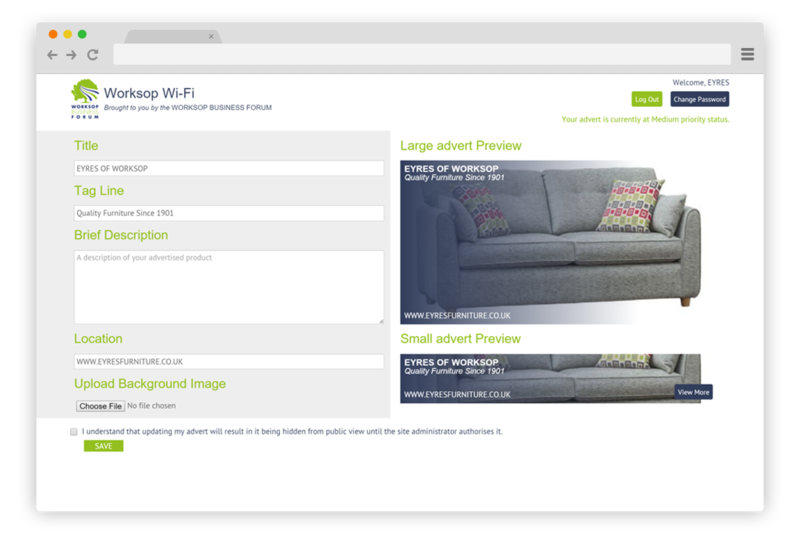 From this user register the administrator can confirm adverts to go live, set priorities and preview the advert. The administrator can also update their details and password. Once the local business have received their username and password from the administrator they can log on to the advert administration section. From here they can add a title, short and long description and an image. After each change the user can see how the advert will appear in small and large previews. The changes are not confirmed until information is saved.